Payment is ca$h at pick up. The shot luges below each have two tracks, one curvy and one straight. 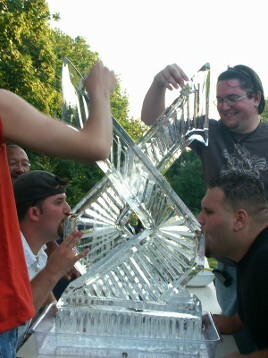 Shot is poured directly onto the ice and into your mouth. 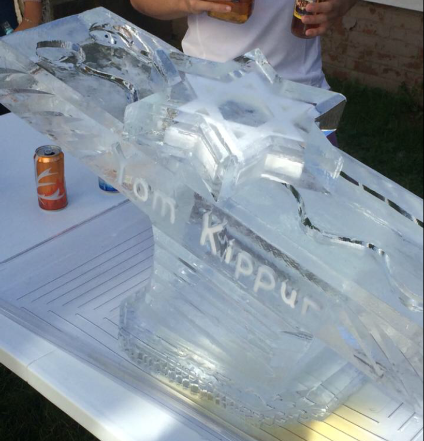 We recommend only pouring pre-chilled beverages onto the luge. 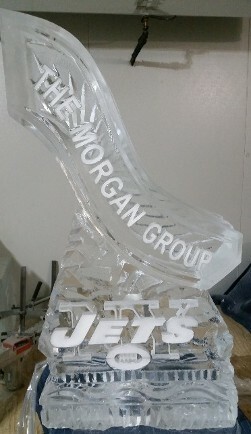 Personalized Half Block Luge $125: Approx. 90 pounds, 25" tall with a 40" slide. Snowfilled wording down one side. Add $25 for wording on both sides. 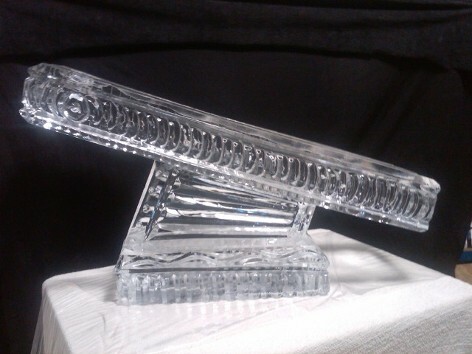 Custom Half Block Luge $175: Approx. 110 pounds, 25" tall with a 40" slide. Snowfilled wording down one side, plaque over tracks. Add $25 for wording on both sides. 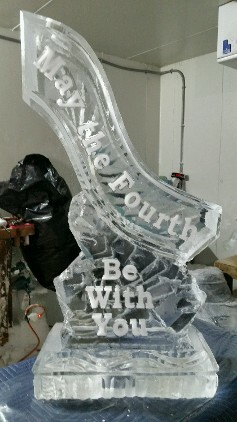 Personalized Bill Luge $175: Approx 170 pounds, 40" tall, 30" slide. Snowfilled wording down one side. Add $25 for snowfilled wording on both sides. 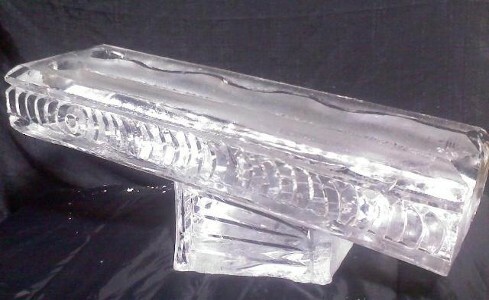 Personalized Bill Luge: $200. Approx 170 pounds, 40" tall, 30" slide. Snowfilled wording down one side and in base. Add $25 for snowfilled wording on both sides. Custom Bill Luge $225: Approx 170 pounds, 40" tall with a 30" slide. Snowfilled wording down one side, snowfilled logo in base. Add $25 for snowfilled wording on both sides. 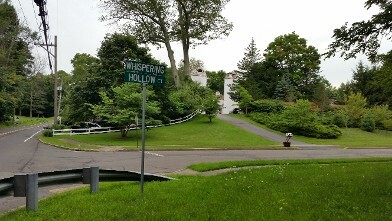 down one side, carved base. Add $25 for snowfilled wording down on both sides. Personalized Matt Luge $200: Approx 170 pounds, 40" tall with 30" slides facing each other. Snowfilled wording on both sides. $175 with snowfilled wording down one side. PLACING AN ORDER IS EASY!! You can call or e-mail your order to (203) 271-3736 or icematters@netzero.com. Please include the date you need to pick up your luge, your name and your cell number as well as the name and cell number of the person picking up, if different. The BIG question: "When do I have to order by?" At least one weeks notice is recommended. Late orders can not always be taken or may be limited to what we have in stock. "When can I pick it up?" Pick up times vary each week, we aim to have two pick up time frames and will call you a day or two before your pick up date with the available times. Any of our party luges can fit in the back seat of a 4-door car/truck/SUV. ** You must bring a thick comforter, moving blanket or sleeping bag and cash for payment when you pick up. 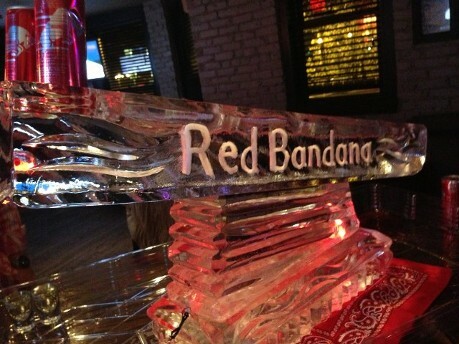 ** We will shrink wrap your blanket around the ice luge. 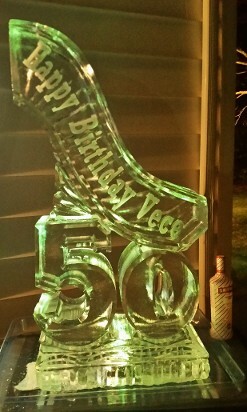 The thicker your blanket the better insulated your luge will stay on the drive to your party*. 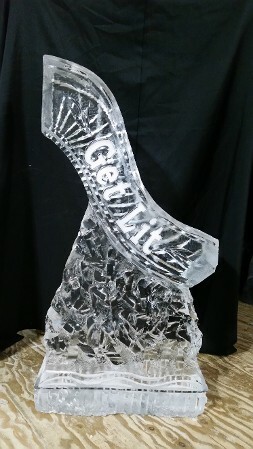 *When temperatures are above freezing and you are not going to drive directly to the party and using the luge right away you should bring 5-10 pounds of block dry ice with you (we can recommend locations) and two thick blankets or sleeping bags. 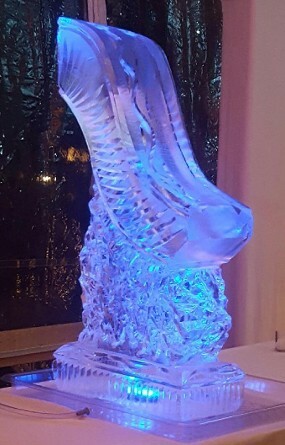 We will shrink wrap your luge with the dry ice and blankets, creating a "freezer" to protect your luge from melting until it is unwrapped. If using outside, ice should be set up in a SHADED area, no matter what time of the year. Drip Tray with Hose is recommended. $15 cash.